Should it be legal in England and Wales to hunt foxes with dogs? Awesome! When I voted, it said 100 percent voted no! Voted and sorry I'm a bit sceptical there are not any YES votes. Very suspicious considering the amount of British Hoorah Henrys that favour this they call sport. May be they don't read Care 2 news. I think I've voted 5 times...guess WHAT...??? Voted again from another browser. 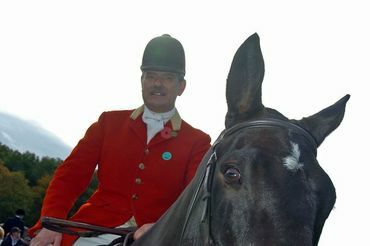 Should fox hunting remain completely banned? Thanks for sharing this vote, dear Scooby! Hmm, so far it's a satisfying 100% "no". Please sign all the fox-related petitions listed here, thank you! This cruelty needs to stop, NOW! Having seen a fox hunt when I was younger and they were the most ugly foul mouthed people I had ever seen, one of the huntsmen hit a girl in the face with his crop so hard it cut her face. So there is no need for these blood thirsty bastards still at 100% No. S & N & TOOK POLL...PLEASE TAKE THE POLL AND MARK "NO", IT'S THE ONLY RIGHT WAY TO VOTE!!! NO NO NO. Thanks Scooby!